Mid-summer 2019: Construction will begin on the grant-funded portion of the Ralston Road Project (Upham Street to Yukon Street) and will include reconstructing the roadway pavement, widening the traffic lanes and providing sidewalks to improve traffic flow and safety for drivers and pedestrians. Work on the Upham to Yukon portion of the project is expected to be completed by summer 2020. The project will require lane closures and periodic closures of roads that cross Ralston Road. Travelers are encouraged to avoid Ralston Road when traveling to or through Olde Town. Summer 2020: Work will begin on the 3F Ballot Issue-funded portion of the Ralston Road Project (Yukon Street to Garrison Street). Look for updates regarding the projects here and on all the City's communication platforms. In the November 6, 2018 election, Arvada residents approved Ballot Issue 3F for a bond issue to fund improvements to Ralston Road and W. 72nd Ave. On February 13, 2019 bonds were issued to provide funding for the 72nd Avenue and Ralston Road projects. What Makes the Ralston Road Project Important? Ralston Road is an arterial roadway and a major east-west corridor for Arvada’s transportation network, serving 23,000 vehicle trips each day. It provides connectivity to major north-south corridors including three State Highways (SH-95/Sheridan Blvd., SH-121/Wadsworth Blvd., and SH-72/Ward Road). The Regional Transportation District (RTD) operates five bus lines using portions of Ralston Road. Major destinations served by Ralston Road include Olde Town, Stenger/Lutz Sports Complex, City Hall, Ralston Central Park, and the Ralston Creek North shopping area. The Citizens Capital Improvement Plan Committee (CCIPC) has twice ranked Ralston Road improvements as the number one transportation priority and recommended it for funding to the City Council. 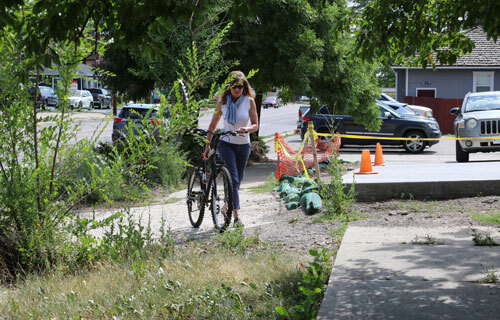 The project also addresses concerns expressed in recent Arvada Citizen Surveys. And the 2014 Comprehensive Plan generated transportation models indicating that the congestion, operation, and safety of Ralston Road will deteriorate with the build-out of the City, and roadways will perform at the lowest levels of service. City staff has conducted public outreach, neighborhood meetings, property owner interviews, and preliminary engineering work to develop plans that support the necessity for improvements along the corridor. 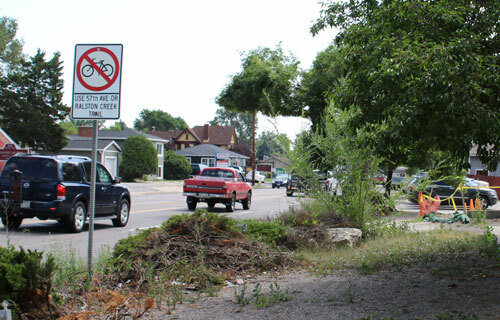 Short term sidewalk improvements and traffic signal upgrades have been implemented over the past five years. The City has pursued grant opportunities. For example, nearly $1,903,000 in Federal funding was awarded to construct the section from Wadsworth Bypass to Yukon St. Construction on this section will begin in 2019. The section between Garrison and Kipling St. was completed with the construction of the new Ralston Creek urban renewal area. The Final Segment: Yukon St. to Garrison St. The only segment of the corridor left to complete is the middle section between Olde Town and Ralston Creek North. In addition to widening the road, the $15.3 million project cost includes streetlights, streetscape and landscaping features to enhance the visual character of the historic roadway, and the purchase of right-of-way from adjacent property owners to widen sidewalks. These improvements will create a safer and improved transportation corridor and a pedestrian/cyclist friendly environment to access the destinations on the north and south sides of the roadway. Vehicle lanes are narrow (only 9 feet wide as compared to industry standard of 11 feet). Rate of side-swipe and intersection crashes is high compared to similar roadways. Unsafe pedestrian conditions (sidewalks are only 3 feet wide and incompatible with ADA standards). Bicycling is unsafe and prohibited along the corridor. Drivers experience apprehension when stopped in the center two-way-left-turn lane when attempting to access driveways and side-streets. Nearby residents experience many safety and traffic concerns. Winter weather conditions are particularly hazardous on this corridor. An 8-foot wide pedestrian path (similar to a trail), allowing cyclists access to parks and trails. 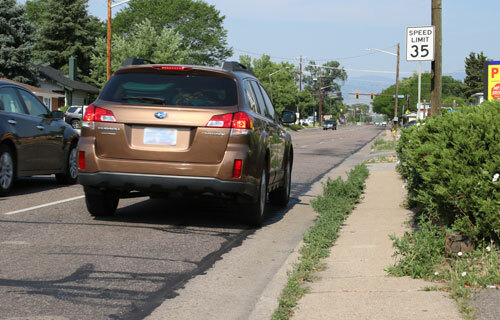 This sidewalk width exceeds ADA minimums and supports the needs of Arvada’s aging population. It also allows pedestrians to walk side-by-side or with their pets, and creates distance from the travel lanes especially when adverse weather conditions impact the gutter pans, driveways, and curb areas. 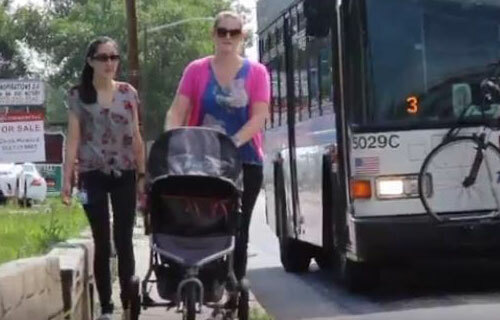 Wider sidewalks also help support transit operations by providing space for bus benches/shelters, loading/unloading of passengers, and bus ramp operation for wheelchairs. Widen the existing 9 foot vehicle travel lanes to 11 feet, and create a 12-foot center-turn lane. Gutter pans to provide an additional 1 feet of space for the accumulation of rain, snow, and debris outside of the travel lanes. The center two-way-left-turn lane established at 12 feet for driver safety/comfort while stopped between passing vehicles. Reconstruction of existing, aging traffic signals with new technology to improve traffic progression. For questions about the Ralston Road Project, please contact City Engineer Trang Tran, 720-898-7646 or Ttran@arvada.org.